A massive fraud at one of India's biggest banks could be even larger than initially thought. 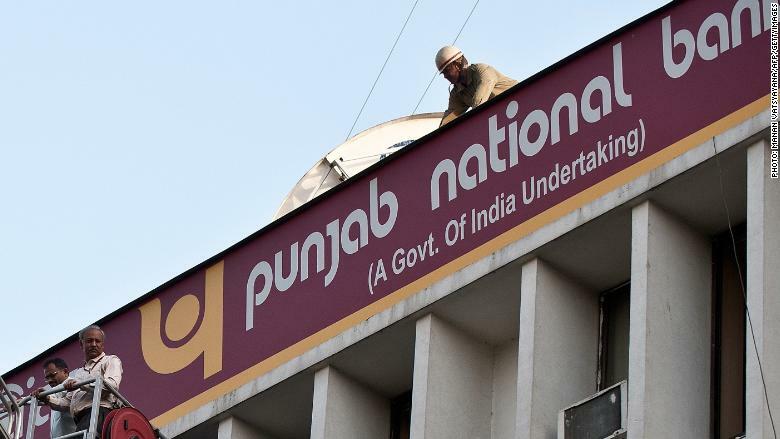 The value of "unauthorized transactions" at Punjab National Bank, one of the country's top state-run lenders, could rise by $204 million to around $2 billion, it said in a statement late on Monday. Government officials have named jeweler Nirav Modi as a leading suspect in the fraud. Investigators have raided properties belonging to the billionaire diamond dealer, seized some of his assets and suspended his passport. Modi, whose designs have been worn by Hollywood celebrities including Kate Winslet and Dakota Johnson, is not related to Indian Prime Minister Narendra Modi. One of Nirav Modi's companies, Firestar Diamond, filed for bankruptcy in New York on Monday, saying it was facing "liquidity and supply chain challenges." Representatives for Firestar and Modi did not respond to requests for comment on Tuesday. Modi is currently outside India but his exact whereabouts are unknown, a senior official with India's Enforcement Directorate -- the country's main financial investigation agency -- told CNN on Tuesday. The agency has seized assets worth more than $880 million as part of the investigation, he added. The official confirmed that Firestar Diamond is one of the companies under investigation. Modi, ranked by Forbes as India's 85th richest man with a net worth of $1.8 billion, has not publicly commented on the allegations against him. But his lawyer, Vijay Aggarwal, has reportedly denied the accusations. "He (Nirav Modi) is not absconding," Aggarwal was quoted as saying by local media. "He has a global business and he went out of India for business purposes." Aggarwal did not respond to requests for comment. India's Finance Ministry on Tuesday set a 15-day deadline for state banks to take "preemptive action" to identify weaknesses in their operations. Punjab National Bank saw its shares plunge more than 12% on Tuesday.